New Delhi, April 17: Northern and some parts of western and central India are reeling under heavy rainfall and thunderstorms. According to reports over 30 people have lost their lives in the storm. Nine people lost their lives in Gujarat and Rajasthan each, while fifteen died in Madhya Pradesh because of rain and thunderstorm. Due to the Western Disturbance, Madhya Pradesh, Rajasthan and Gujarat witnessed rainfall, thunderstorm and lighting. The weather in Delhi-NCR and northern parts of India has become pleasant giving respite from the scorching heat. Monsoon 2019 Forecast: IMD Predicts 'Near Normal' South West Monsoon. 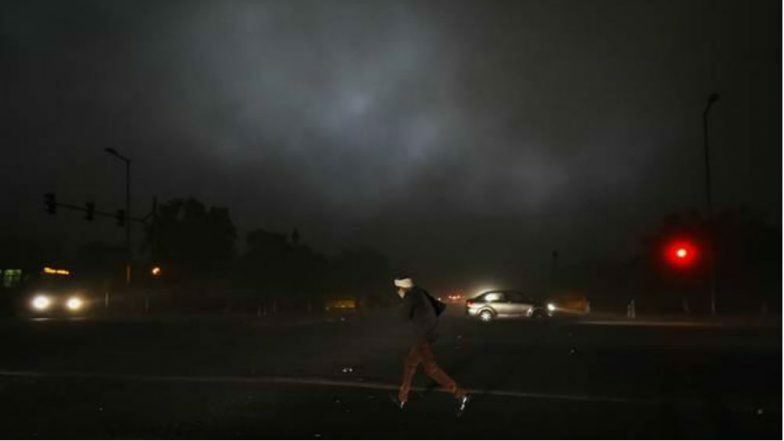 Meanwhile, the Western Disturbance which now lies over East Jammu and Kashmir has induced cyclonic circulation over Punjab and adjoining areas, reported Skymetweather. Due to this cyclonic circulation, a trough has extended up to Southeast Uttar Pradesh across Haryana. Light to moderate rain and thundershowers are predicted over the hills of North India. Punjab, Haryana and West Uttar Pradesh will also witness rain and thunderstorm accompanied by dust and hailstorms activities over isolated places. IMD Issues Dust, Thunderstorm Warning in Rajasthan; Jodhpur, Alwar, Churu to be Affected. East Uttar Pradesh, Bihar and Jharkhand will also receive scattered rain and thundershowers. According to Skymetweather report, a Confluence Zone has been formed over Central parts of Uttar Pradesh as Southwesterly winds from Arabian sea are merging with the Southeasterly winds from Bay Bengal. Due to this Confluence rain and thundershowers are expected over many parts of Madhya Pradesh and Chhattisgarh. Manipur: Thunderstorm, Heavy Rain Claim 3 Lives, Injures 10 School Students. The Prime Minister on Wednesday approved an ex- gratia of Rs two lakh each from the Prime Minister’s National Relief Fund for the next of kin of those who have lost their lives due to unseasonal rain and Rs 50,000 each for those injured due to unseasonal rain and storms in parts of Gujarat.